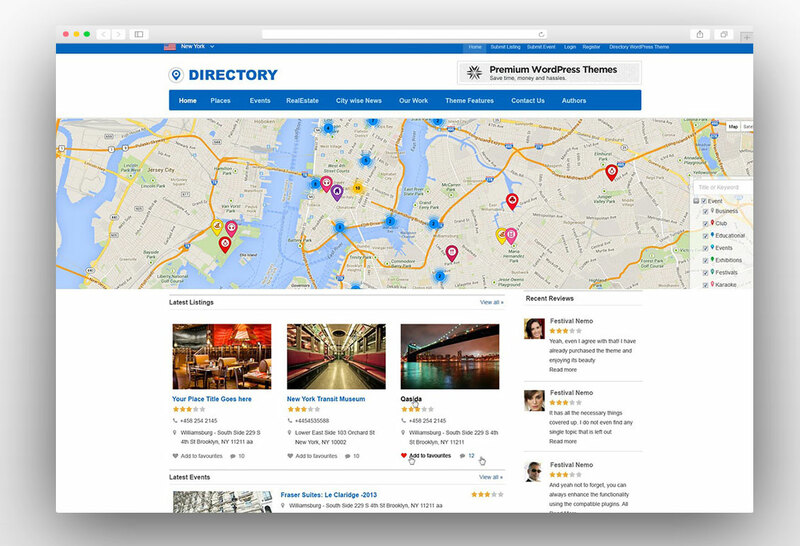 If you are searching for an easier way to create a professional and fully functional directory then you have landed on the right page. 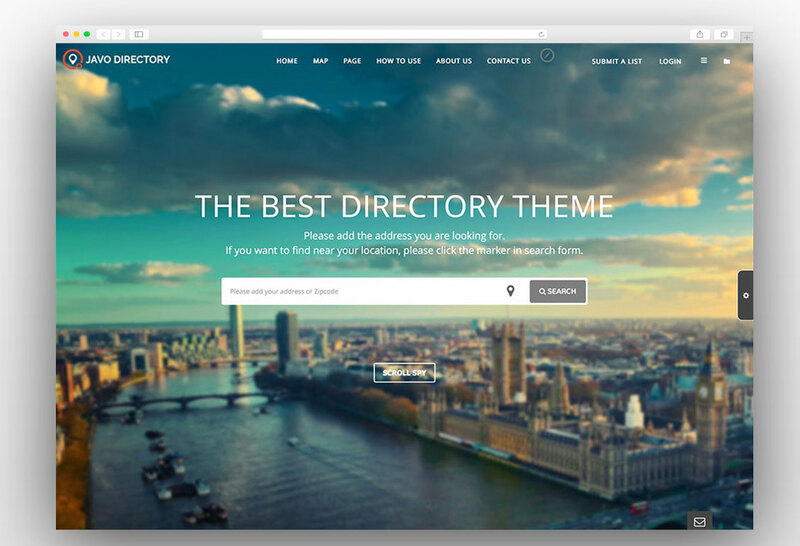 This collection of beautiful directory WordPress themes will help you to create any type of directory quickly. 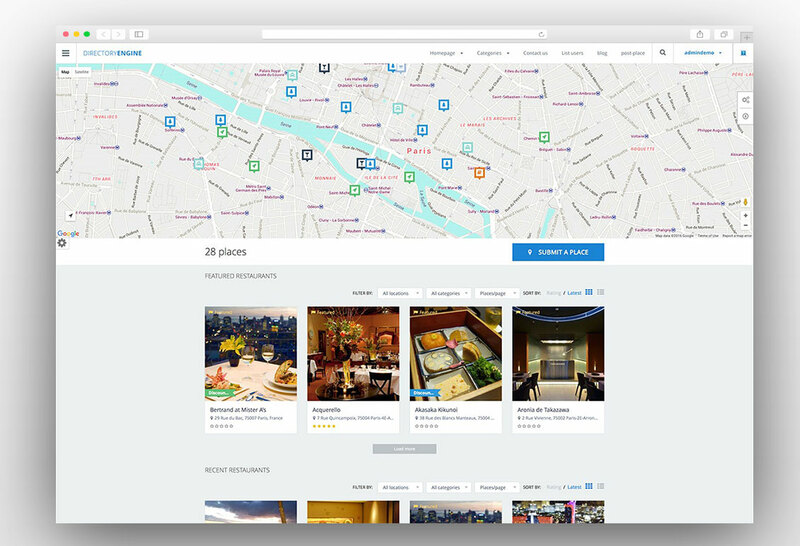 All of these themes are from different categories and you can create a directory for business, online website listings, ad posting, real estate, food and restaurant, hotel booking and much more. 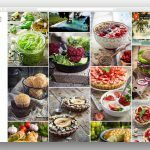 All of these themes have basic functions like creating user accounts, front-end listing submissions, paid packages, maps, reviews, user admin panels and lots of other features that will power your website to become a successful online business. 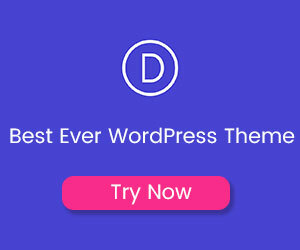 So here the best directory WordPress themes and let’s get started with their features in detail. 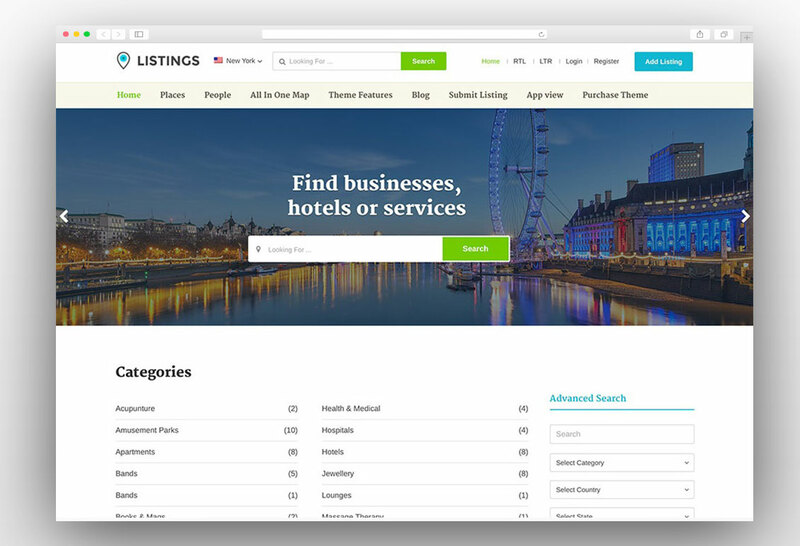 ListingPro is the best Directory WordPress Theme and it is trusted by thousands of directories since it was launched. The theme is power packed with tons of features which you won’t be able to find in other directory themes. 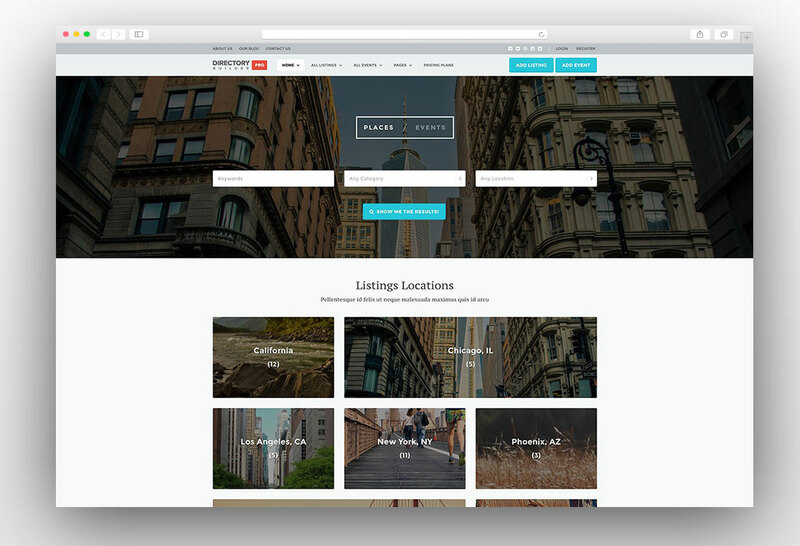 The theme is super easy to set up and you can easily create a customized listing website without any coding knowledge. Extensive video tutorials help you to manage a full directory business without any prior experience with the coding or website management. 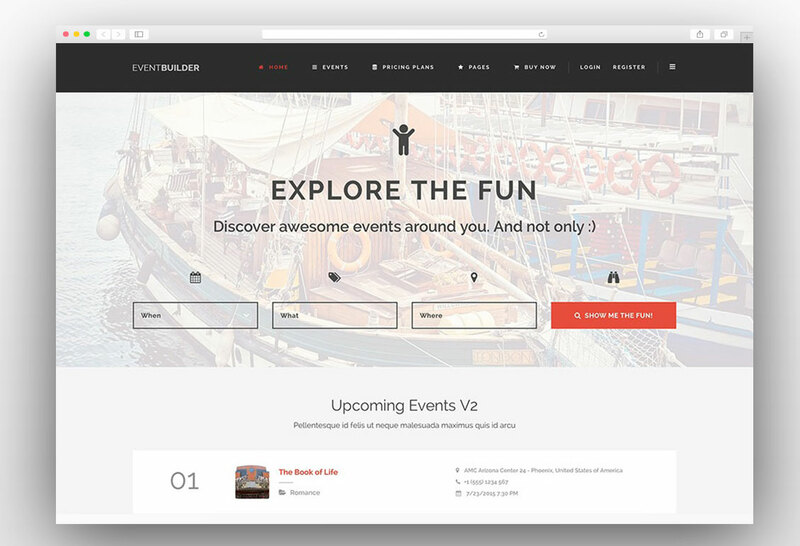 The front-end submission is super amazing with a beautifully crafted user area. You can easily create and manage different packages and you can control the features for different membership levels. There is a listing claim option at the front end and you can even add the verify badge in front of the listing. 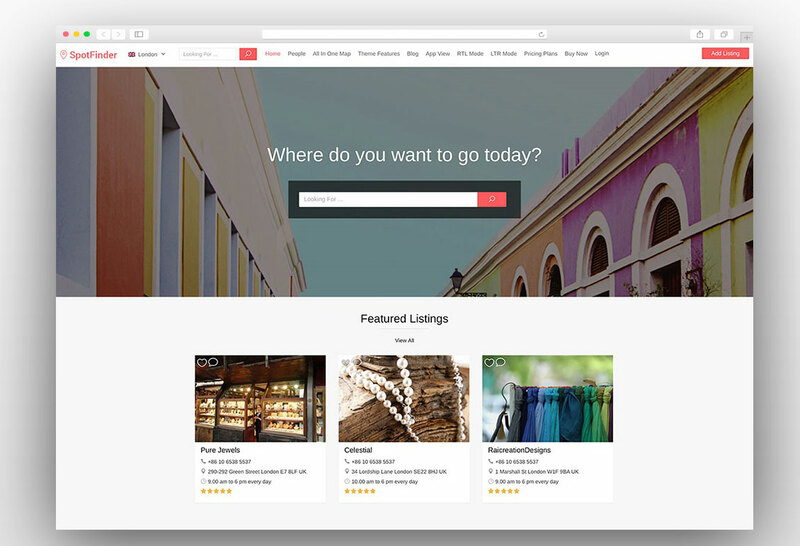 There are a built-in advertising feature and businesses can promote their listing on the homepage as well as the category page. Restaurants can add coupons and also users can order online from the listing page. There are a ton of other features like invoicing, taxation, translation, inbox messages, and the list go on. This is by far the best directory theme created so far on WordPress. Listeo is beautifully crafted WordPress Directory Theme which comes with booking option and a very handy front-end user dashboard area. There is also a private messaging option in the theme and all this is included in the package and you don’t have to buy any extra plugin or extension. 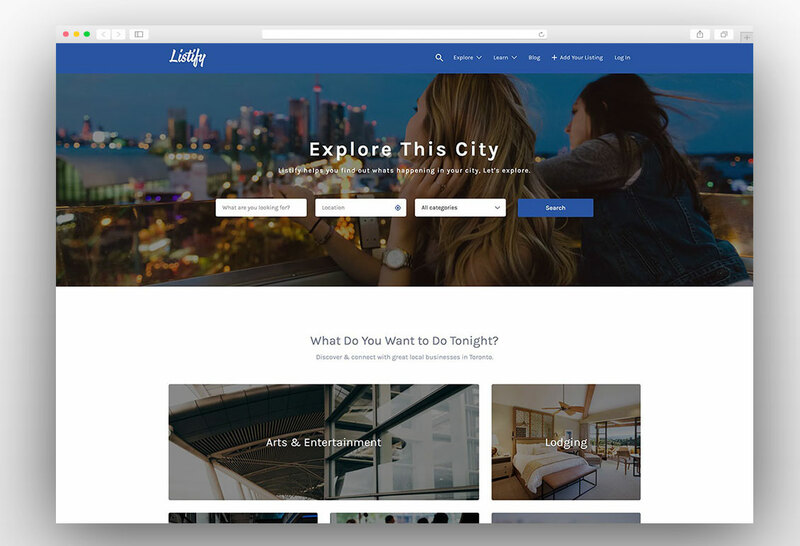 If you are looking to create websites like TripAdvisor, Yelp, Airbnb, Booking.com, Tripping, FlipKey, HomeAway or similar websites then you can create one with Listeo theme and you don’t need any coding knowledge. 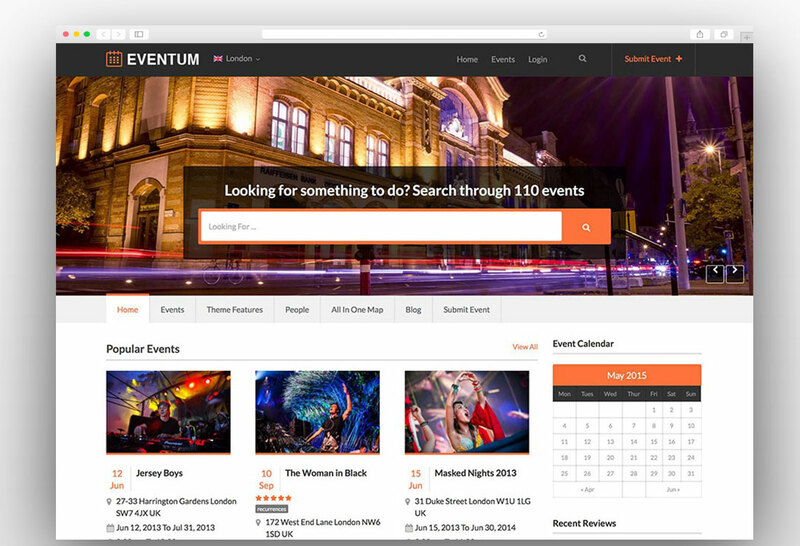 The theme has a robust booking system which works equally good for services, events and rental services. The user interface is amazing and it will give users a highly professional and friendly experience. There is an option to create free and paid packages so that you can easily monetize the website. This theme goes one step further and you can set commissions for the bookings made on the website. This will give you an extra monetization option. 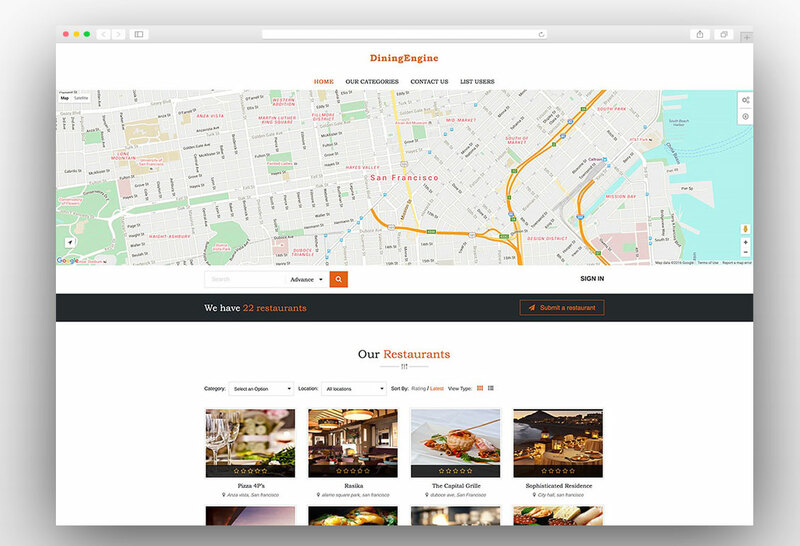 If you are looking to create a restaurant or real estate directory then this directory theme may be a better option for you. 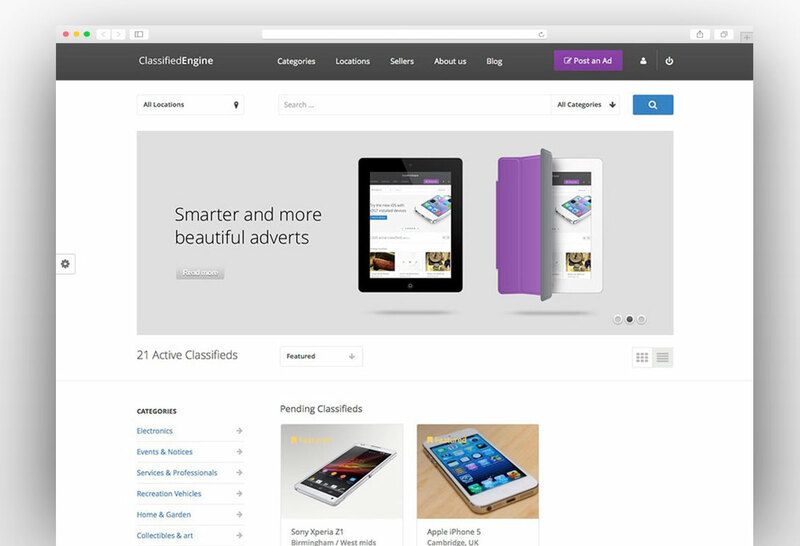 MyListing is features packed WordPress Directory Listing theme which supports custom fields and Elementor. 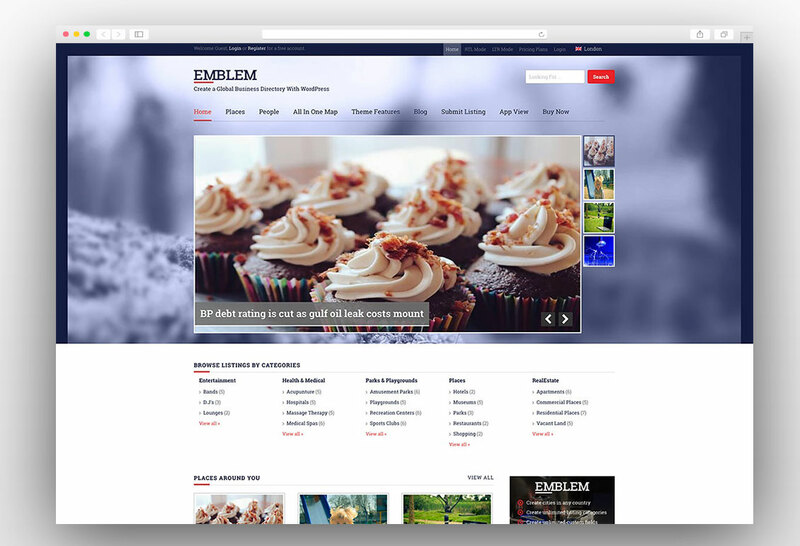 You can create any layout of your choice using the Elementor plugin. 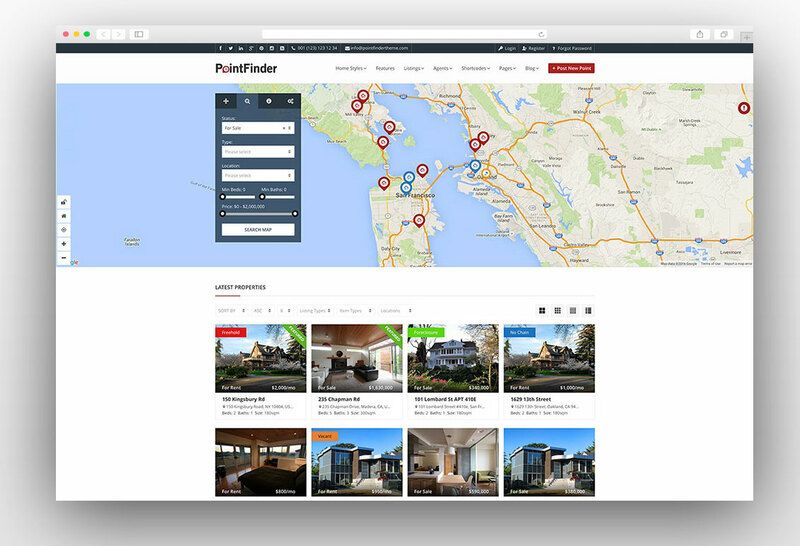 The features allow you to create any kind of directory whether it is an event directory or a real estate listing website. 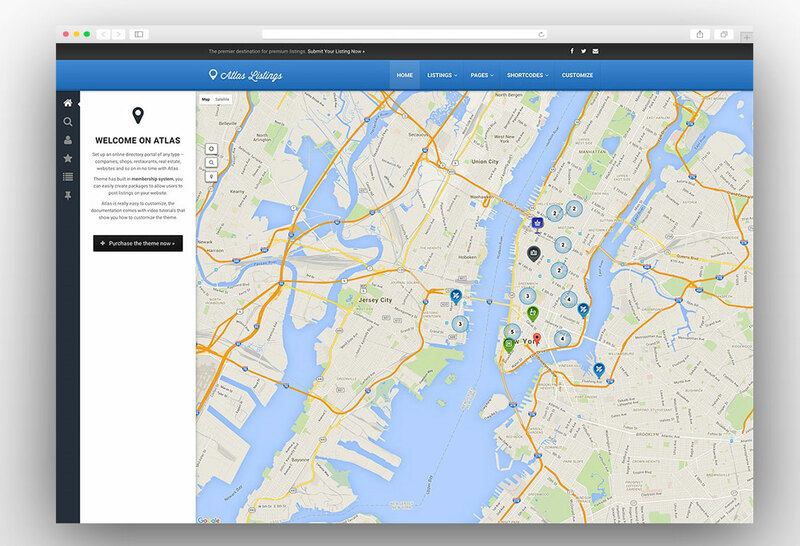 You can set up multiple listing types on the same website with different front-end displays. You can charge the users for each listing by creating different packages. Hence you have an option to monetize your directory website. 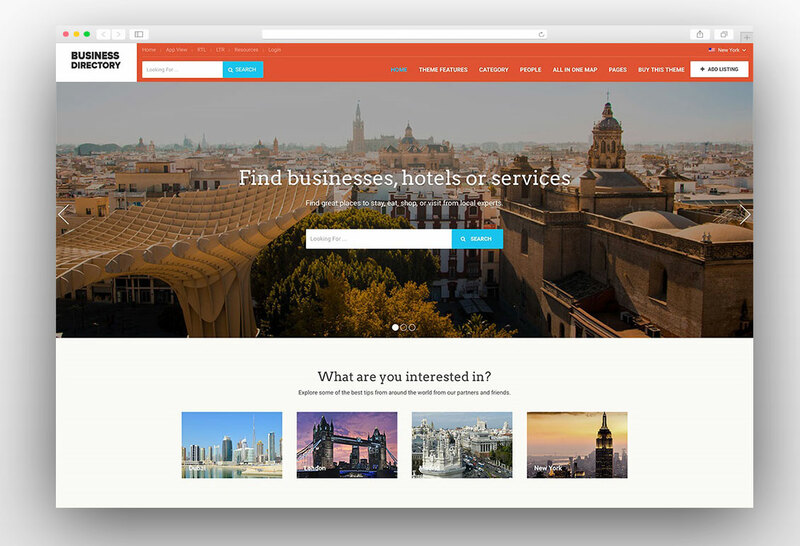 The one-click installation feature lets you get started and create an awesome directory website without any coding knowledge. It is a really amazing directory WordPress theme to choose when it comes to developing a directory website. Directory portal WordPress theme is the most powerful directory theme that will help you to create a fully functional directory effortlessly. 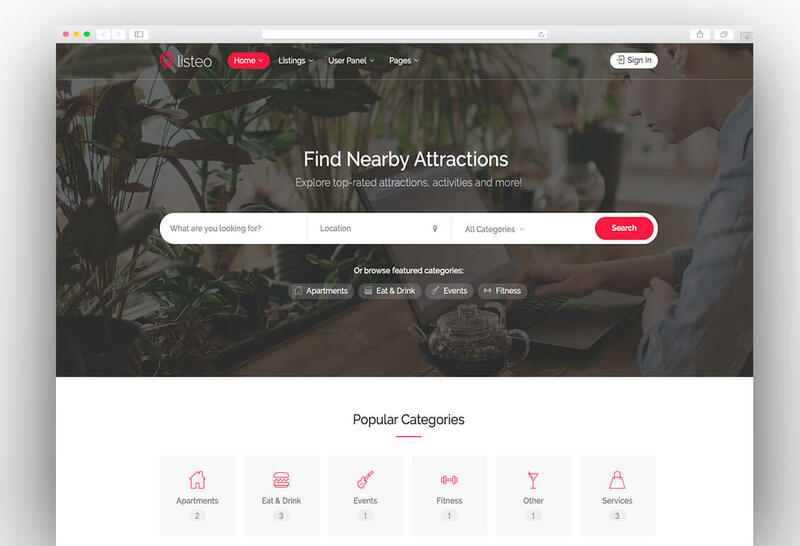 You’re able to effortlessly set up an online directory portal listing categorized items of any type – companies, shops, websites, and restaurants and so on. 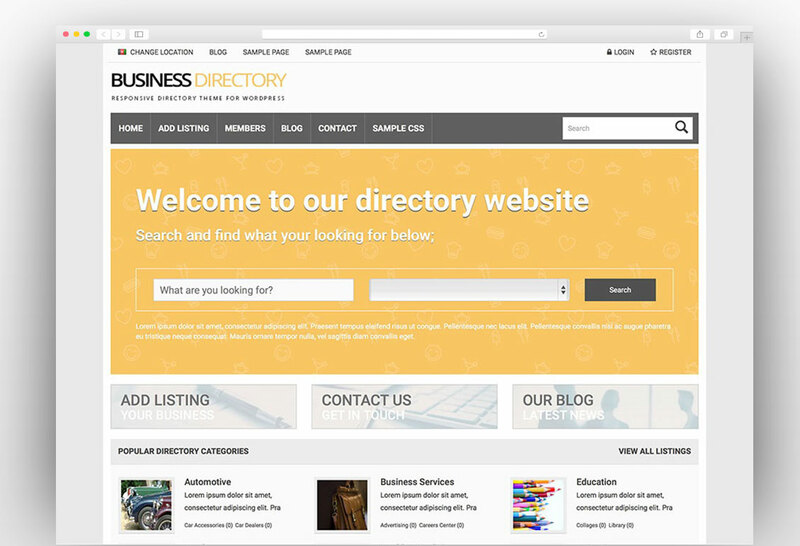 The theme is powered with all the tools required to run a successful online directory. 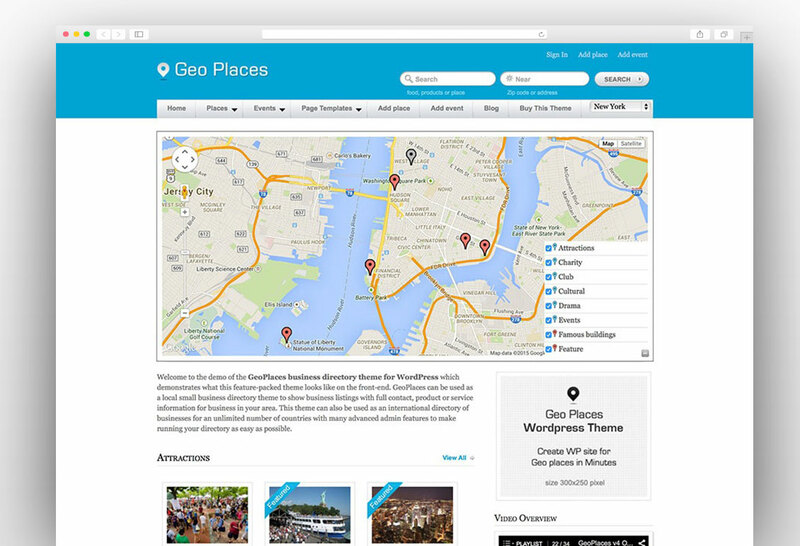 The modern designs of the theme include a 3D map, video header, business view and street view. These are the unique features of this theme. The fully responsive, retina ready and modern design looks stunning on all the devices and any size and it works perfectly on any browser. 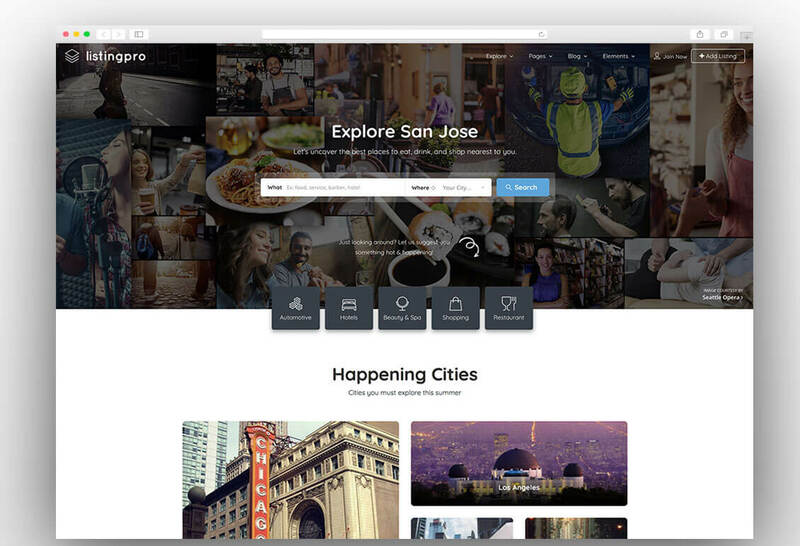 The drag and drop page builder with a number of elements allows you create unique layouts. The directory will provide you the geolocation both in KM and Miles. 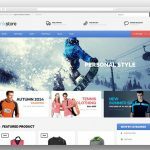 The theme is integrated with WooCommerce and you can monetize the website with ease. The PayPal payments, easy admin panel, claim listings and listing reviews make it the best choice for creating a directory website. The website can be set up by just a single click and you can get started quickly. The theme is translation ready and SEO friendly which will attract more visitors and business to your website. 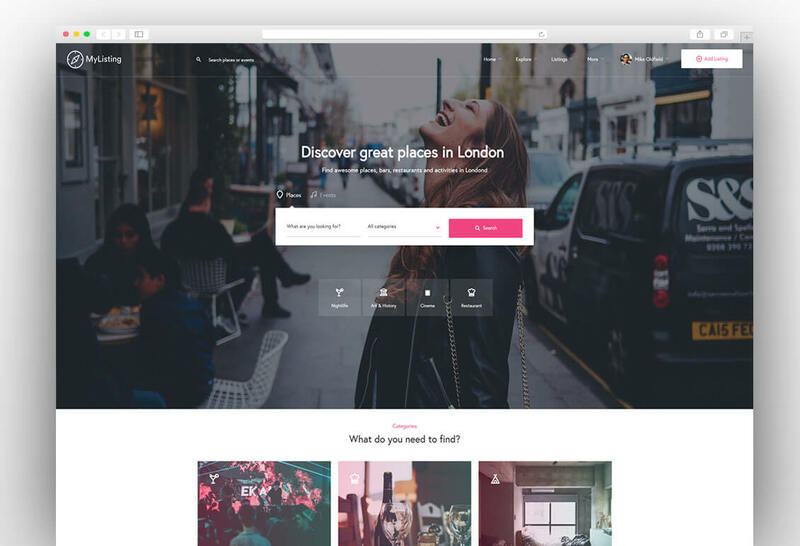 You can create custom promotions, events, job listings, portfolios and partners sections with this handy WordPress directory theme. 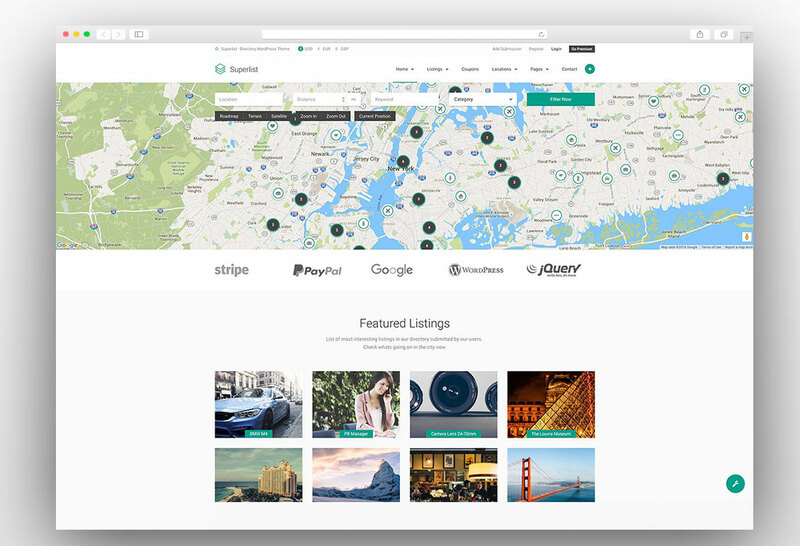 Superlist is the clean and fully responsive directory WordPress theme that comes with amazing features like Geolocation, membership packages, front end submissions and one click website setup. 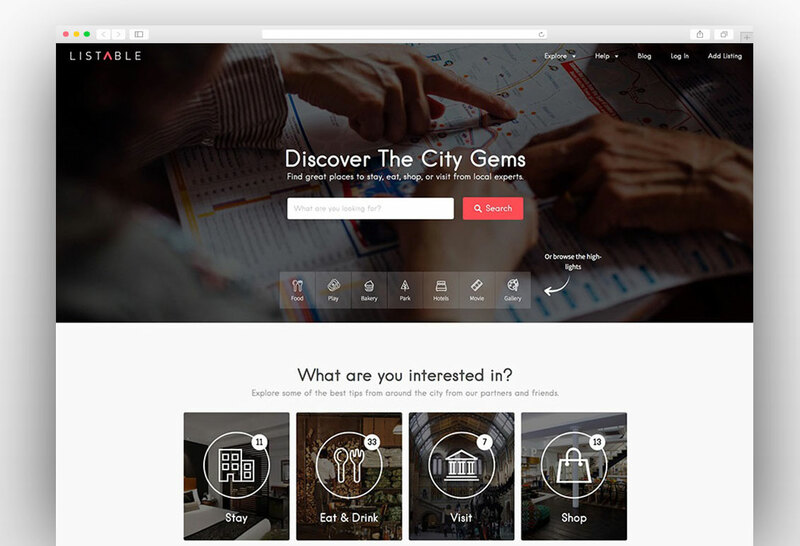 The theme is perfect for listings like Business, Car, Coupon, Dating, Education, Event, Food & Drink, Hotel, Job, Pet, Property, Shopping, and Travel. Besides these predefined listing types, you can also create a custom field for your own listing type. 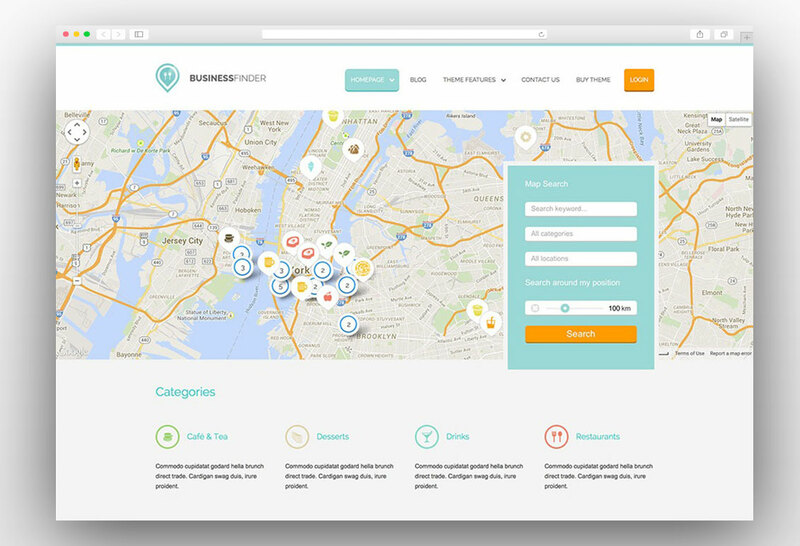 Point Finder is directory WordPress theme specially designed to help you create an amazing listing or directory website. You can turn your website into a full-fledged online business as lots of payment gateways and monetization methods have been added in theme. 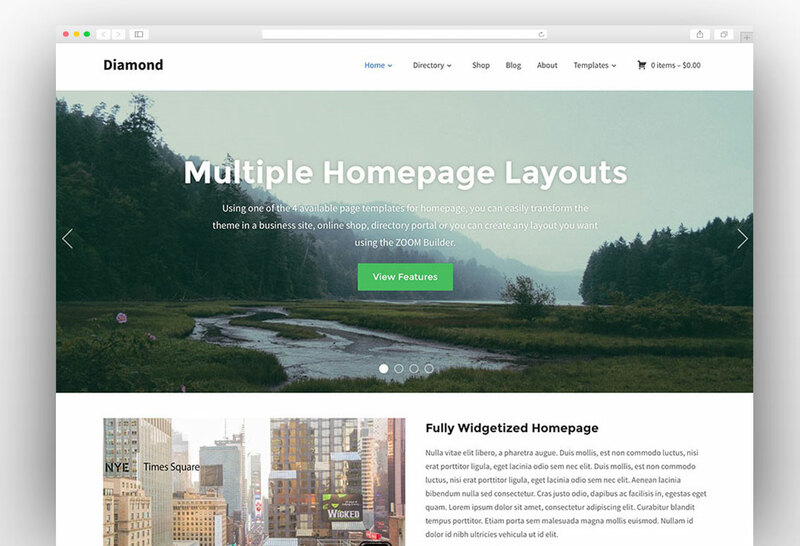 Premium plugins like Visual Composer and Slider Revolution are included in the package for free to help you create your own layouts. 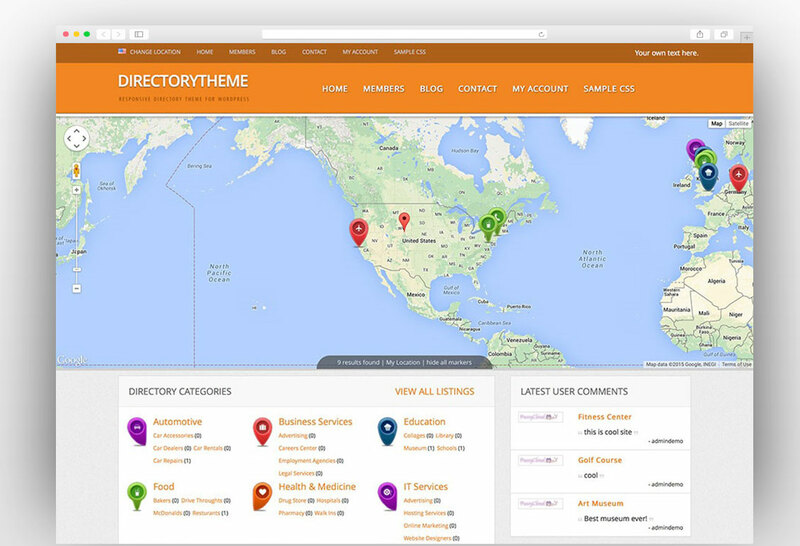 Directory Theme is here to help you create, manage and monetize a local or global directory site. 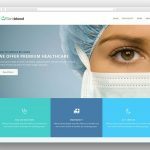 You can quickly get started with your website by just one click of the button from the dashboard and your website will exactly look like the demo website. 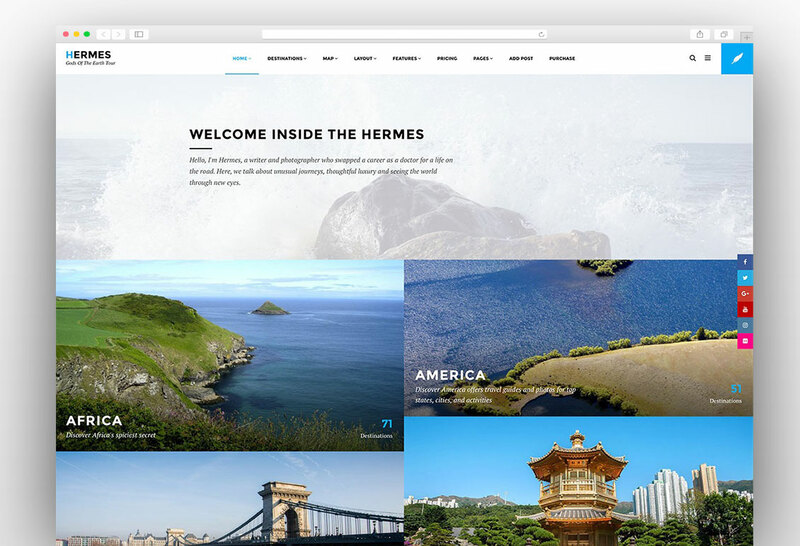 The theme has multiple homepage layouts leaving wide options for you to choose from. The dedicated mobile app view makes the website look stunning on mobile devices just like any other mobile app. 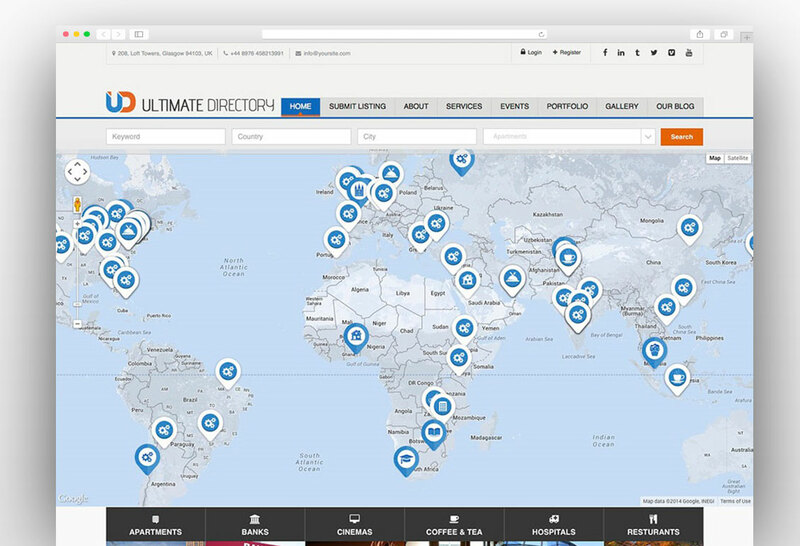 Listify WordPress directory theme is one of the most powerful directory themes available in the market. 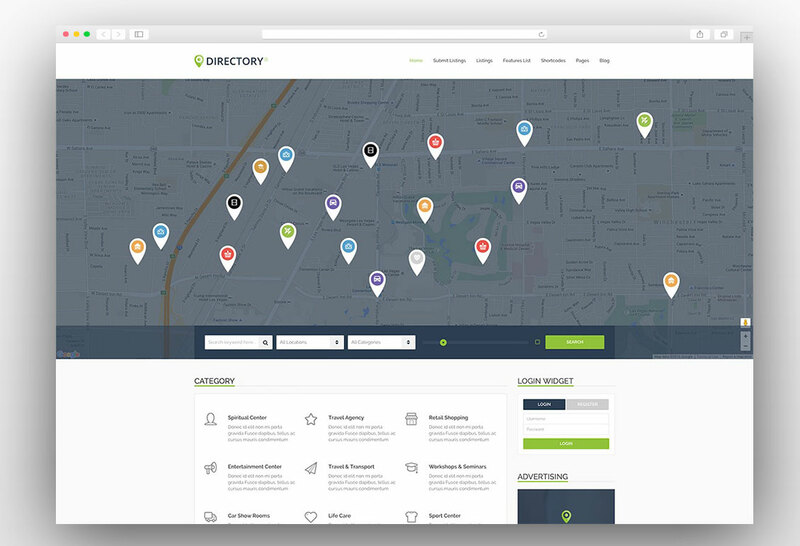 You can create your own directory business with this amazing WordPress directory theme. 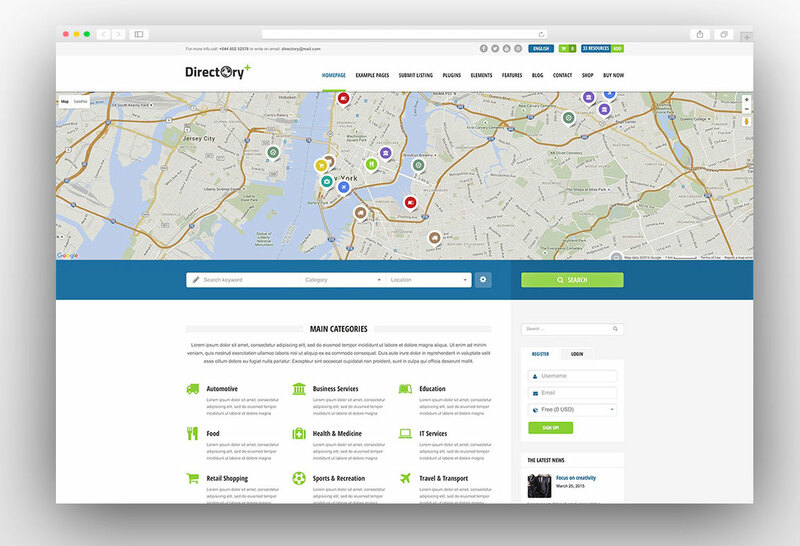 The directory of any kind can be built using this fully responsive, modern and retina ready theme. It has all the features that you may need to build any directory website. It is powered with useful premium plugins for reviews, labels, favorites, statistics, and registrations. The demo data helps you to get started quickly and you just need few customizations before your complete website is ready to be launched. 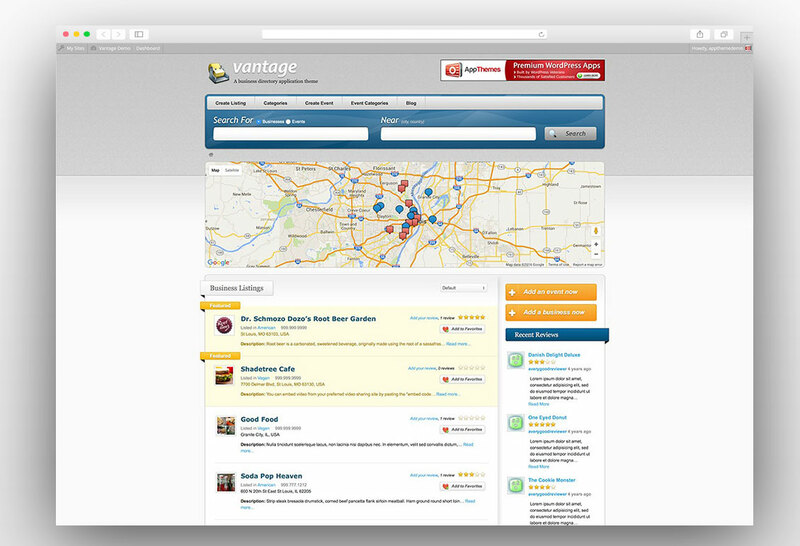 The home page and listing pages can be fully customized through drag and drop layout builder. 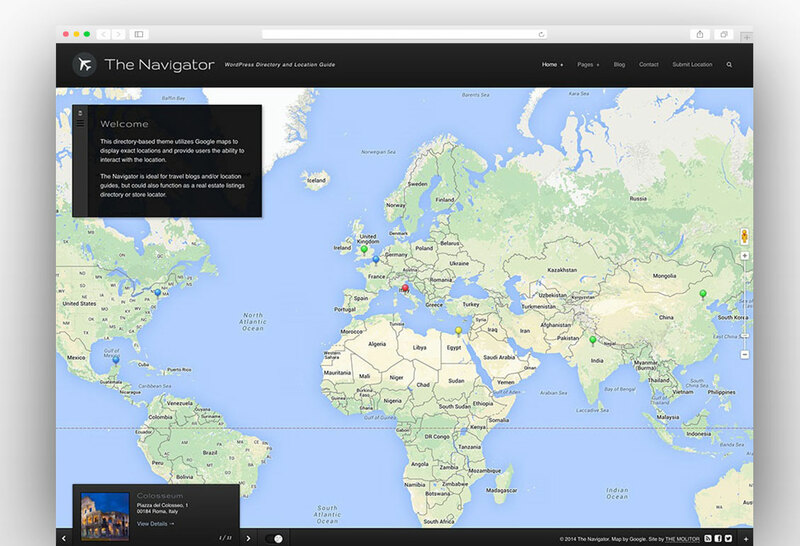 The theme automatically detects the location of the user and displays only relevant results. It helps in a better experience for both business owners and the users. The theme is optimized for speed it gives a wonderful performance when it comes to the loading speed of the page. The review system is fully optimized for the schema and it will give an edge as reviews will appear on Google’s rich snippets. There are many monetization options available for the business owners like paid subscriptions, claim listings, paid submissions and much more. 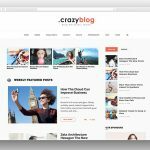 Listify WordPress plugin fully supports all the famous WordPress plugins.